Matches under floodlights seem to be a craze in every sport. Football, Hockey, Cricket and Tennis have had it for long and now even F1 has seen races after sunset. An underlying reason for it has been the unavailability of people in working hours and more crowds at nights. Day Night Test Cricket - Could it become reality? This has led to a possibility of introduction of day-night test affairs, whereas matches under floodlights in cricket are currently confined to the limited overs formats. This is seen as a move to draw more crowd in a format traditionally seen as ‘boring’ and too long, though agreed by all that it is the purest and most technical form of the sport. Though people and the players alike are enthusiastic about the plan becoming a reality, there is a flip side to it that people seem to have forgotten. Going to the venue to watch a game in white kits will be a new and a little awkward experience at first, as we are used to seeing coloured kits and white balls in day-night affairs, but it shall be exciting no doubt. When the game is concerned though, will it have a bearing on it? Maybe, is the answer. We have seen instances where day-night matches have been chided, as they seem to be heavily influenced by the toss. Some venues see the chasing team have an advantage as the dew factor plays to their advantage and the bowlers find it hard to keep control over a moist ball. 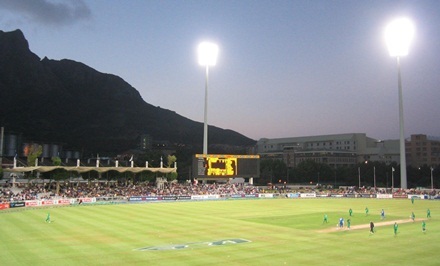 In some venues, such as Cape Town, chasing under lights seldom sees the team win and the winner of the toss seems to have an advantage. Such factors may come into play in test matches should day-night affairs be introduced. On a pitch where spinners are supposed to get a good turn, especially in the final two days, their danger might be neutralized by the dew factor and the advantage of a good spin lineup may be lost. From the spectators’ point of view, test cricket has always been the least popular of the three formats and the limited overs format being a one-day affair sees a packed house where people come to roar for a day. In tests, however, there are very few ardent fans that bother to go for all five days. When limited overs cricket is concerned, fans go to have a memorable experience at the stadium as they know they are going to return with a result and see some spectacular shots across all directions of the ground. As far as a test match goes, people will hardly take the trouble to go unless it is the final day, knowing that the day is not going to yield the final result and they may have to be content with scores of singles and dot balls instead of boundaries as usually is the trait of the longest format. Will this change under floodlights? Definitely not. Therefore, fans will have no enticement to go and watch a game at the stadium under floodlights to see Test specialists stay at the crease for an entire session and adding less than hundred to the scoreboard. Test cricket remains best in its current format. What can be done to draw crowds is to start hosting tests in non-test listed venues. Cities like Indore, Rajkot, Cuttack, Kochi and Guwahati do not get the opportunities or privilege of hosting tests. The BCCI should work with the state boards on working at these venues to make them capable of hosting tests. This idea would do good, as it would mean more venues for tests in a country, and the rotation policy would mean one city getting a test after quite a gap. The governing body should thus work at the grassroots level and develop venues that will see good turnouts rather than experimenting with the format that may not guarantee overwhelming results.